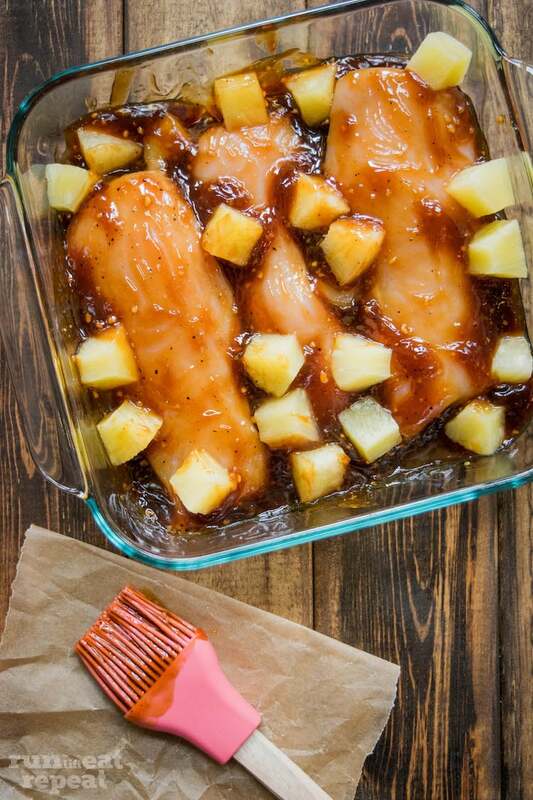 Easy Healthier Baked Pineapple Teriyaki Chicken. 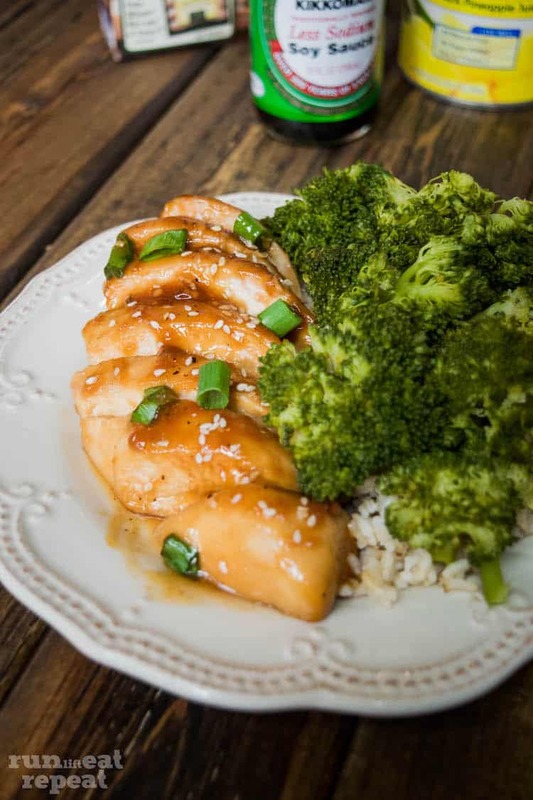 The easiest, healthier, flavorful baked chicken teriyaki that you’ll ever have! The weekend has come and gone— Monday is here in full face. Sigh. For most of you out there, myself included, weeknights are pretty busy. As much as I love to be in the kitchen making a disaster mess, during the week it takes every ounce of myself to not grab take-out. 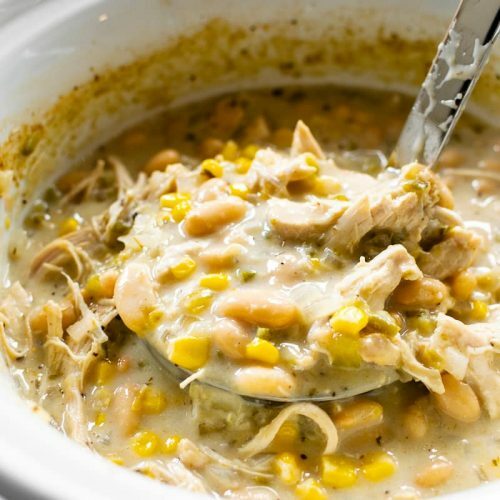 That’s where simple, flavorful dinners come in. 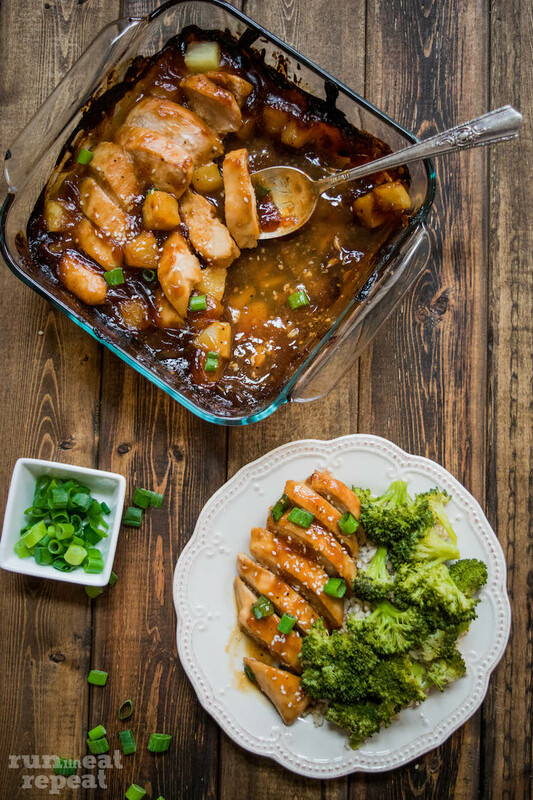 Enter the easiest, most flavorful baked chicken teriyaki using some of my favorite ingredients! When most hear “chicken teriyaki” the immediate thought is that it’s complicated. But I’m here to show you actually how easy it really is! 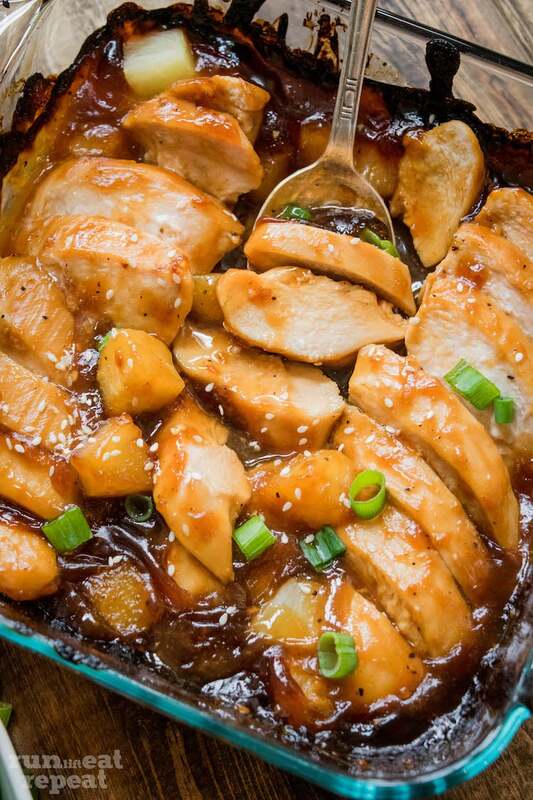 Just two simple steps: (1) make the teriyaki marinade. (2) pour the marinade over the chicken and bake. That’s it! 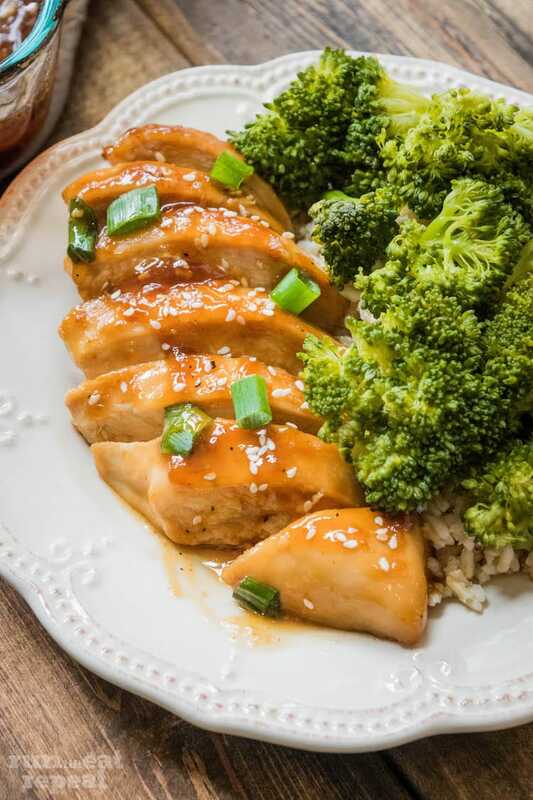 I typically serve this dish up with my favorite Minute® Brown Rice and broccoli— both help soak up the extra marinade. Mmmmm mmmmm! First, let’s discuss this marinade. We’re talking a very simple yet flavorful marinade. Very few ingredients: Kikkoman® less-sodium soy sauce (don’t worry, there is no lack of flavor with the less-sodium! ), honey, cider vinegar, red pepper flakes, garlic, a little fresh ginger and ground black pepper. The marinade will cook and thicken over medium heat before pouring it over the chicken. I won’t blame you for licking the spoon multiple times. Alright, now for THE hardest part: pour the marinade over the chicken. Ha! I decided to throw in some Dole® Pineapple chunks for a little bit of sweetness and it happens to be Chris’ favorite fruit so it was perfect! 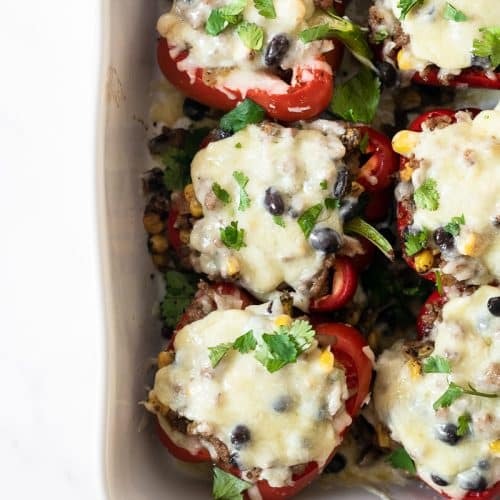 Pop it in the oven for 30 minutes. While it’s baking you can pull together your sides. I’m a huge fan of Minute® Brown Rice and I have boxes stacked in the pantry. 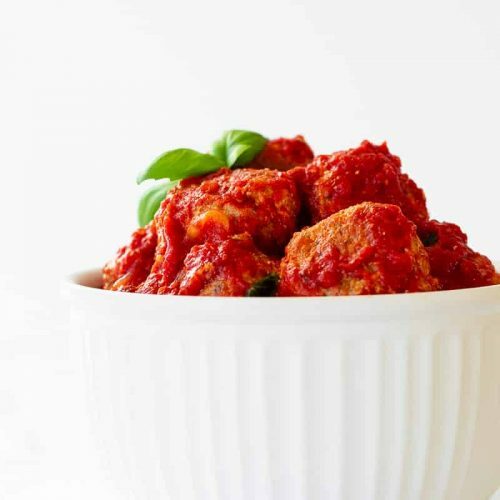 It’s has a rich, nutty flavor and ready in just 10 minutes. Sprinkle it with a little green onion and sesame seeds. THIS is dinner. Weeknights are looking a bit more exciting and a lot easier! Find these ingredients at any major grocery store, such as Kroger! 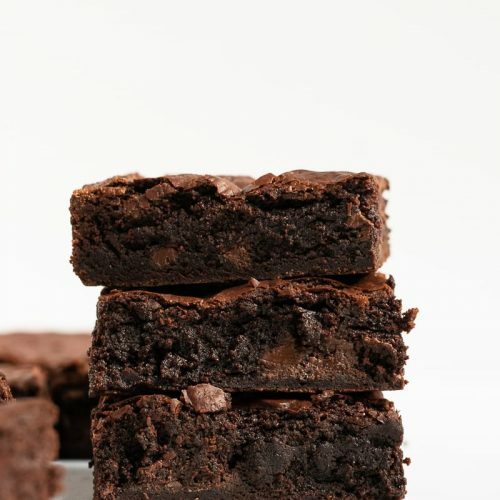 Previous Post: « Healthy Peanut Butter Brownie Bites.